This is the original EduKit created by entrepreneur Michael Nixon and is now a Limited Edition product. 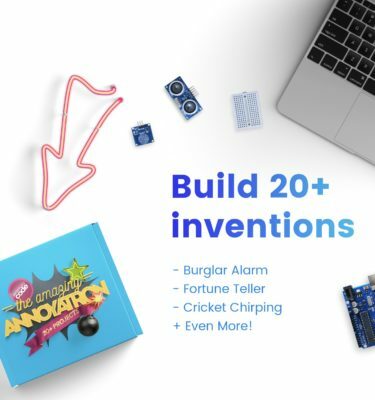 The product includes over 25 electronic parts and components and can build 15 different projects now incorporated into “The Amazing Annoyatron”. This kit is ideal for home or school use. Get your hands on an EduKits Original before they are all gone.